Asul, 10 years old, came to us through the recommendation of her school counselor after learning that both Asul’s mother, Ruth, and brother are currently battling cancer. 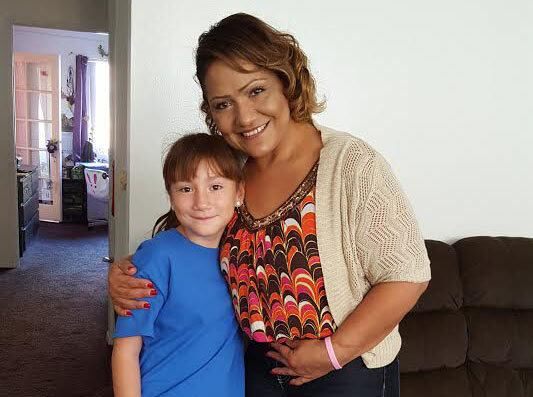 Ruth is not only fighting Breast Cancer, but all the while supporting her children as a single mom. Asul has had a very difficult time dealing with the impact cancer has had on her family. That’s when her school counselor recommended Walk With Sally. Ruby is a breast cancer survivor who has survived the devastating experience of losing her mother to breast cancer and watching her sister battle the disease as well. This week Walk With Sally matched Ruby with her new mentee, Asul. Ruby’s strength is incredible as she introduced herself as a breast cancer survivor and made a point to let Asul know that not everyone diagnosed with cancer passes away. Ruby brought a sense of hope to Asul, who worries about her mother, and to Ruth, who worries about her personal struggle with the disease. At one point Ruby looked over at Asul and asked her, “Could you have ever guessed that I used to have Breast Cancer?” and to this Asul responded “No.” This is such an important revelation because so much of the time children assume cancer equals death, and seeing someone who has survived, makes it seem less scary. This entry was posted in Breast Friends, Mentors & Mentees. Bookmark the permalink. Are You A Breast Friend Yet?